Few among those fleeing northeast African conflicts to seek refuge in the Kakuma Refugee Camp in northwestern Kenya 25 years ago could have imagined what is now a city would still be here with hundreds of thousands still here fleeing from neighboring countries. The Lutheran World Federation (LWF) has been working in the camp since, sustaining those fleeing unceasing war and famine. Through its Kenya/Djibouti program, the LWF provides a wide range of services to refugees and the host community, particularly education, helping many unable to stay in their home countries imagine a future with hope. There is also focus on youth development incorporating sports, performing and visual arts and mentorship; peace building and conflict resolution; sustainable livelihoods; safety and security in the community; reception of new arriving refugees; and water for the host community. The 15km² camp has a population of 171,000 refugees from more than 15 different nationalities. The LWF collaborates with the United Nations High Commissioner for Refugees and other UN agencies, partner organizations such as Australia Lutheran World Service and Church of Sweden, the Kenyan government and local organizations. On 25 May 2017, LWF officially commemorated 25 years of service to vulnerable populations in the Kakuma Refugee Camp. It was attended by the residents, host community representatives, and invited guests from different parts of the world. 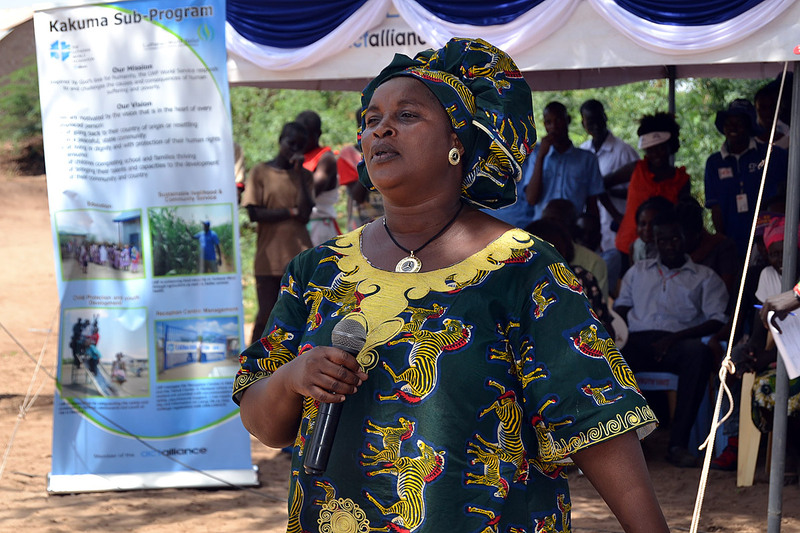 The commemoration event held at the Napata Grounds in Kakuma, was an occasion to showcase LWF’s services such as the early childhood, primary school and special needs’ education and the Accelerated Learning Program. Over 80,000 learners are enrolled in the LWF-run primary and pre-school program. 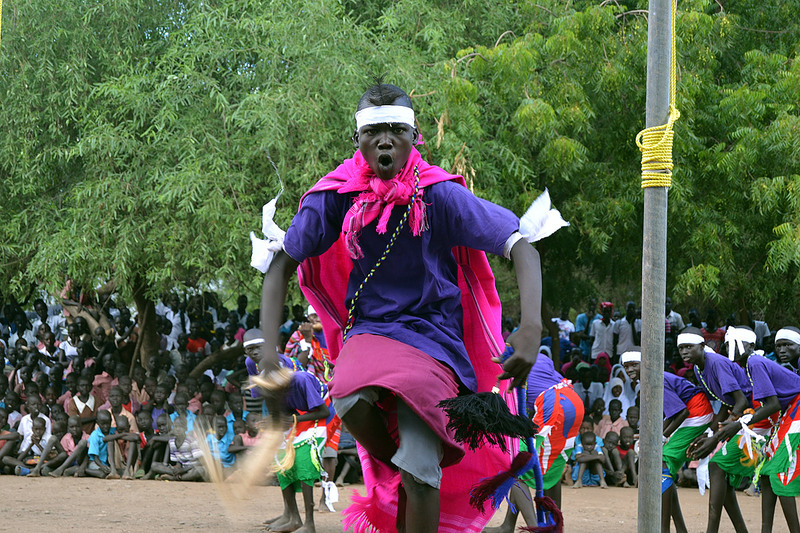 Students in the special needs’ education unit at Fashoda Primary School perform a traditional dance. 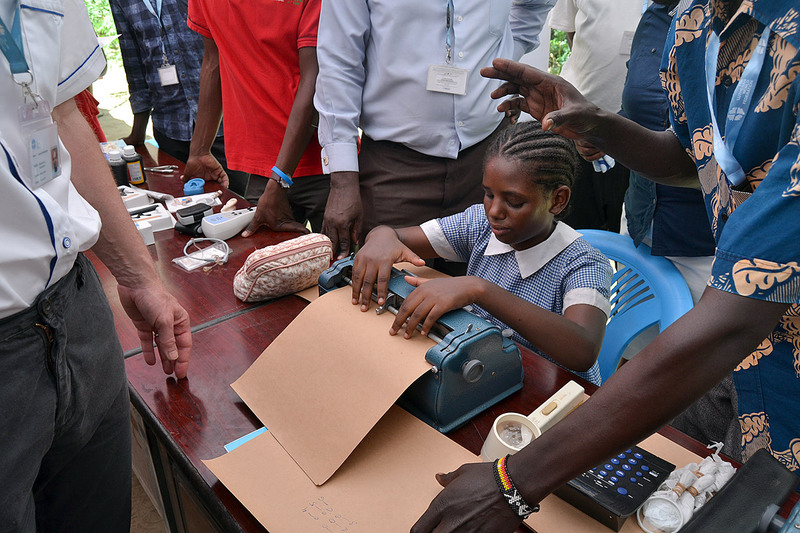 One student shows how even those who are visually impaired can benefit from education with the use of a braille typewriter. 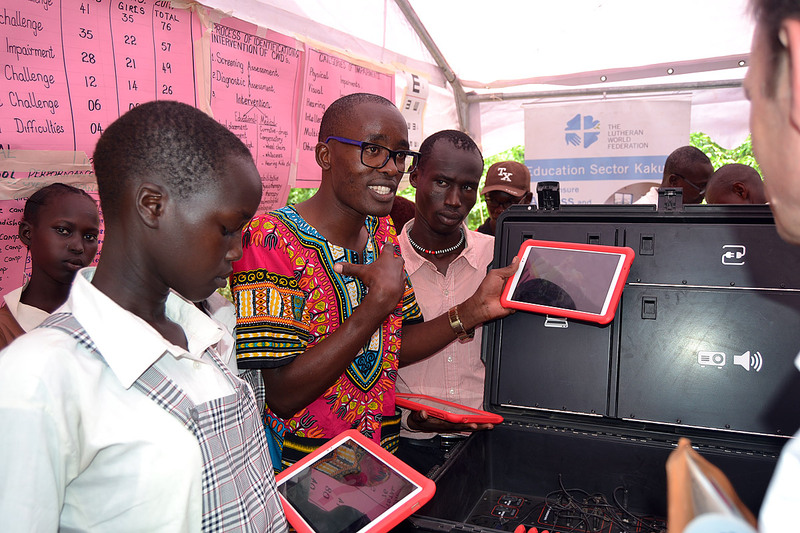 Students of the Angelina Jolie School together with LWF staff demonstrate how education has become more accessible using solar powered tablets, making use of a resource that is plentiful in the region—the sun. Among those attending the commemoration were members of the host community. 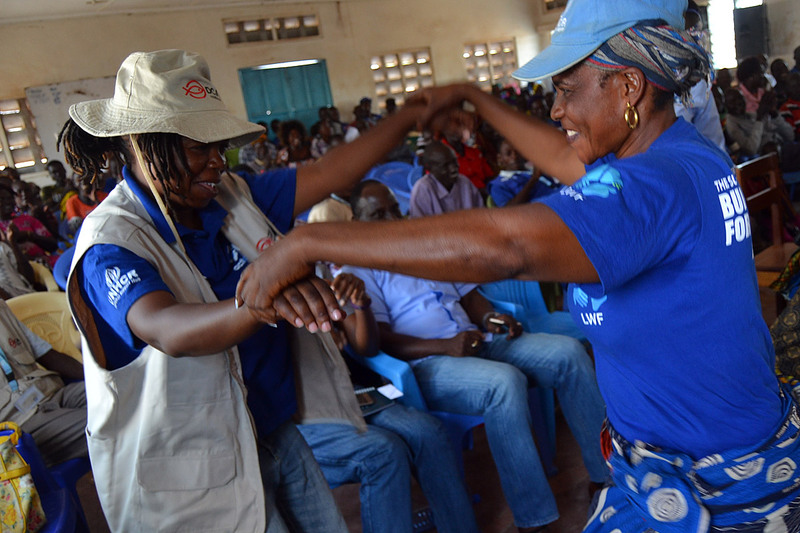 Hilda Thuo, one of LWF’s Livelihoods Officers, joins a member of the Umoja ni Nguvu (Unity is Strength) women’s group, dancing at an event in the multi-purpose Kakuma hall. Some of the youth refugees in the camp exhibited their art work. 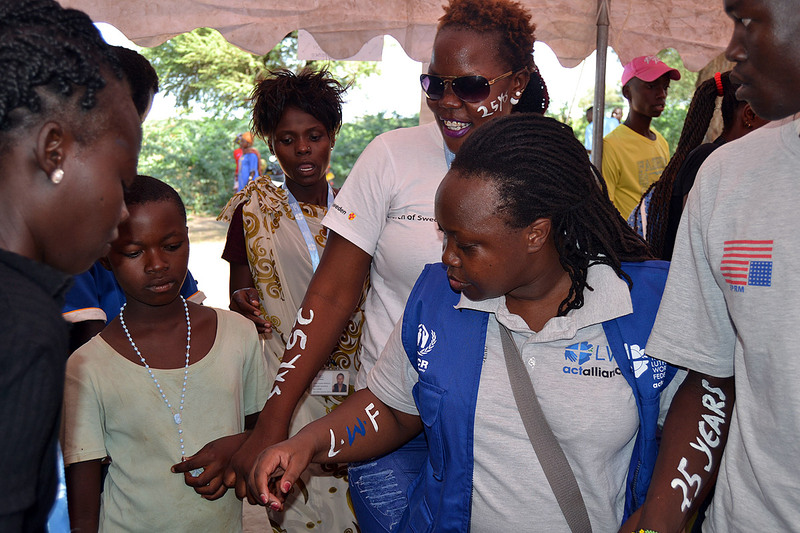 And, they hand-painted both LWF staff and refugees. 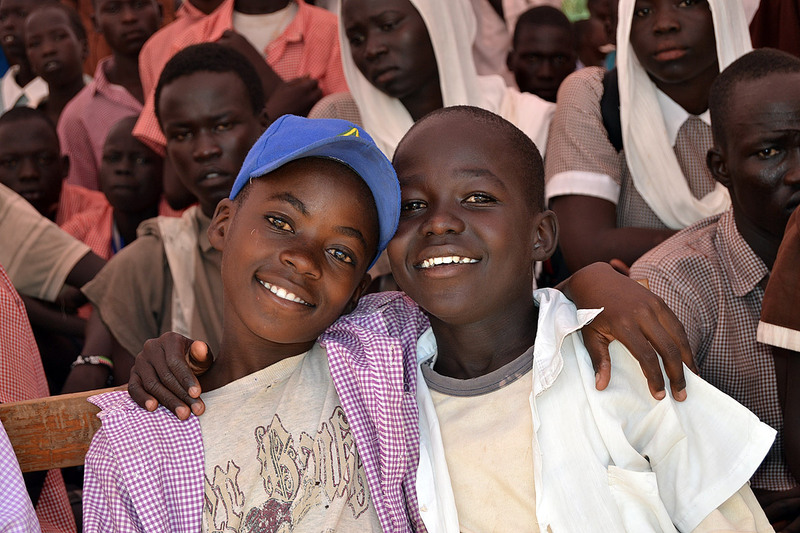 The LWF child protection program directly benefits around 16,000 children and over 102,000 indirectly. 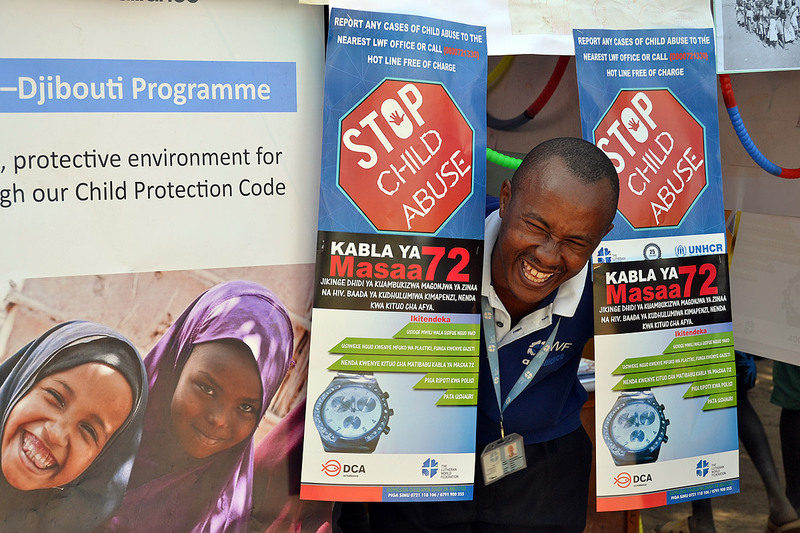 LWF Child Protection Officer George Thotho, at a stand during the anniversary events. Hardworking Mama Safi is among the refugee beneficiaries of the LWF Village Loans and Savings Association. She runs a bakery, which uses brick and wood kiln to bake. She also sells fish, owns sewing machines used to make African batik fabrics (famously known as Kitenge) that she wears herself. She was recently showcased in a KTN TV program as an excellent example of homegrown solutions. Among those who arrived in 1992 was Valentino Achak Deng, as the so-called “Lost Boys” of then Sudan, who made it to Kakuma after walking barefoot across the country. He went on to establish an education foundation and became Minister of Education in South Sudan’s Northern Bahr el-Ghaza province. 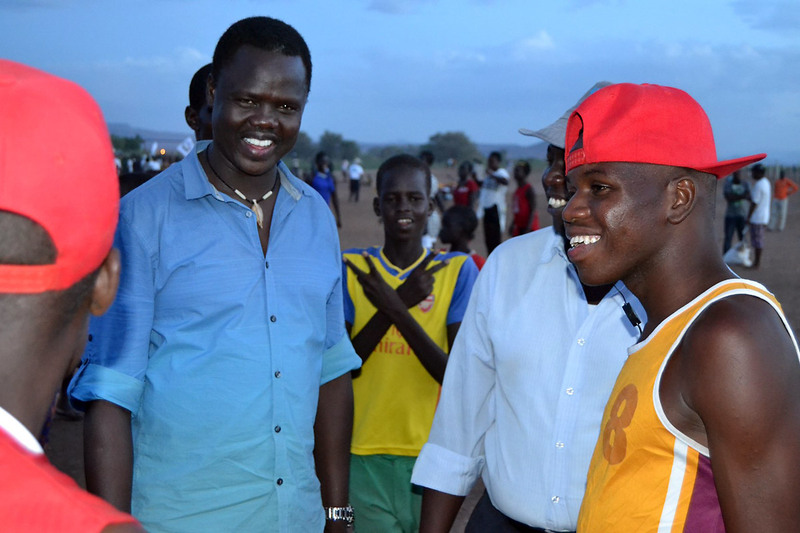 Deng interacts with youth from the Kakuma Football Premier League during the anniversary celebrations. Staff and others who offer life-giving support at the camp also need services for sustenance. 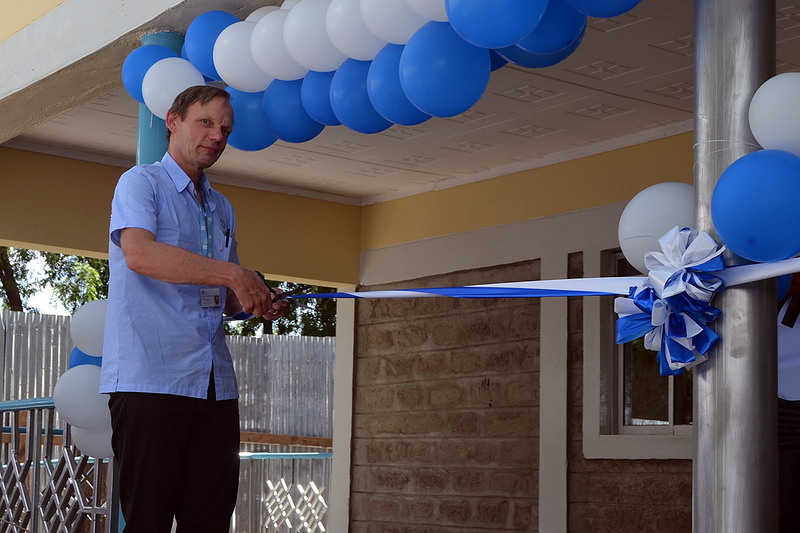 The LWF Kenya/Djibouti representative Lennart Hernander presents the new LWF cafeteria at Kakuma. 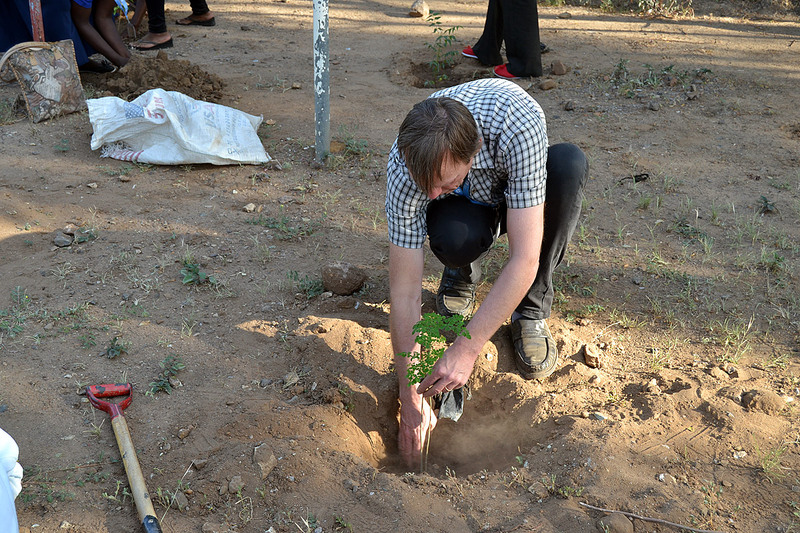 Still with an eye on the environment, the LWF country representative Lennart Hernander takes part in a tree-planting exercise together with other staff.